Dr. Strange has had more than his share of trippy-looking opponents in his storied career but this guy takes the gold. I mean, look at him! 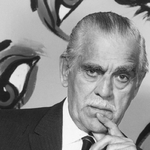 He looks like something Pablo Picasso and Salvador Dali doodled on a cocktail napkin during an epic tequila binge. I’m not sure which I like better: the asymmetrical design or the way the solid green coloration makes it impossible to tell what’s Nebulos himself and what, if anything, is clothing. 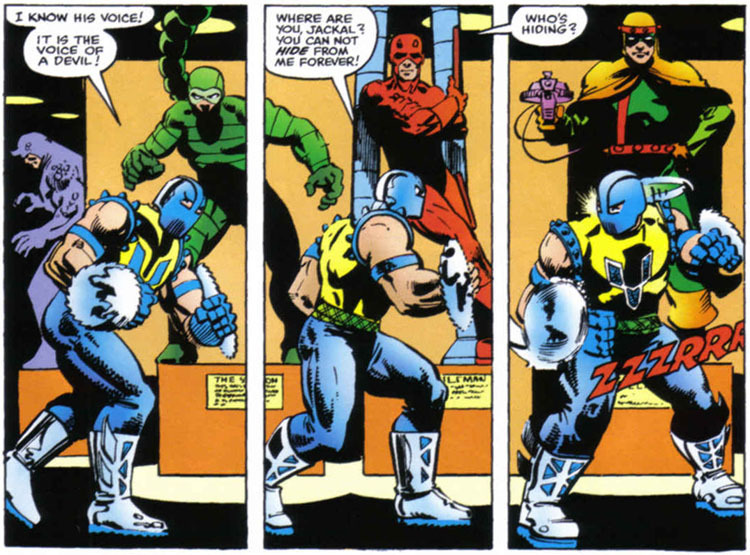 Kudos to the late Dan Adkins for giving comics readers a villain visual that is *truly* different. Last Edit: Dec 15, 2017 8:53:31 GMT -5 by Cei-U! It looks like he has a boat on his head. Never heard of him but he is trippy looking. Matt Wagner's villainous criminal mastermind Hunter Rose is one of those baddies you love to root for. Equal parts Thin Noir and Far East, the sleek stylized costume in beautiful black and white is nothing gorgeous. The mask, that iconic mask, the "eyes" are such a great look, giving it a ninja-esque feel. Toss in his dual bladed staff and Wagner's Thin Man like dialogue, Grendel comes alive as you read the pages. WHAT THE.. I thought I would be super-duper original by having Nebulos on my list! Needless to say, great choice, Kurt!!! This specific design is a masterpiece. By that I mean that it looks very simple (he's a big red fire dude with horns) but is actually very difficult to render properly, as is often the case with a Kirby design. Look at the shape of the demon... Eschewing the bodybuilding look he'd later acquire, he's got rather narrow shoulders and a big furry belly, evoking an ancient satyr or a Medieval Satan. His hands and feet end in claws, but not simply because there are long nails on his fingers and toes... those things are huge, dragon-like. The fur is ambiguous... is it hair? Is it fire? It looks like both, and the ambiguity is perfectly suited to this creature. (After all, we don't want just another Human Torch with horns, do we?) This association of a classic demonic look and Kirbyesque power makes for a unique figure of doom. The face is where Kirby's approach is the most obvious, and the hardest to imitate. Surtur's features are partly in shadow and look as if they're made of smouldering coals. And those horns, extending upward... black against the burning red of Surtur's head, they look flat rather than round and are unique in the Book of Four-Colour Demons. When I see that image, I am transported to the world of the Norse legends, to the Ragnarok of the Gylfaginning. Such is the power of a good design, and of Jack Kirby's imagination. 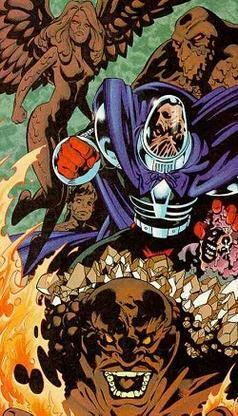 The first of several Legion villains on my list, this member of the Fatal Five has by the far the best design. I love the domed helmet that obscures his face, but still provides an eerie outline, enhanced by the white eyes against the black visage. The rest of the costume is your standard Silver Age jumpsuit, but the helmet really sells me on the look. First showing Tales of Suspense #93 1967 and created by Aim via Kirby/Lee. Let me say I am really enjoying this. 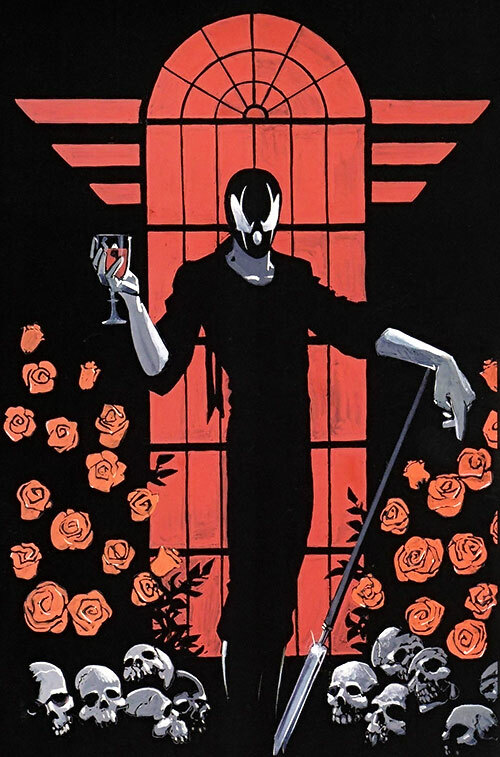 I have decided to go back to when I was first reading comics some 40 years ago and choose villains that just wowed me and maybe others have forgotten about. I also am going try and choose villains that have not been chosen before me. Gladiator! Just one of the best designs. the colors were eye catching and as a new reader to Daredevil to see him with saws on his wrists made him an instant favorite. 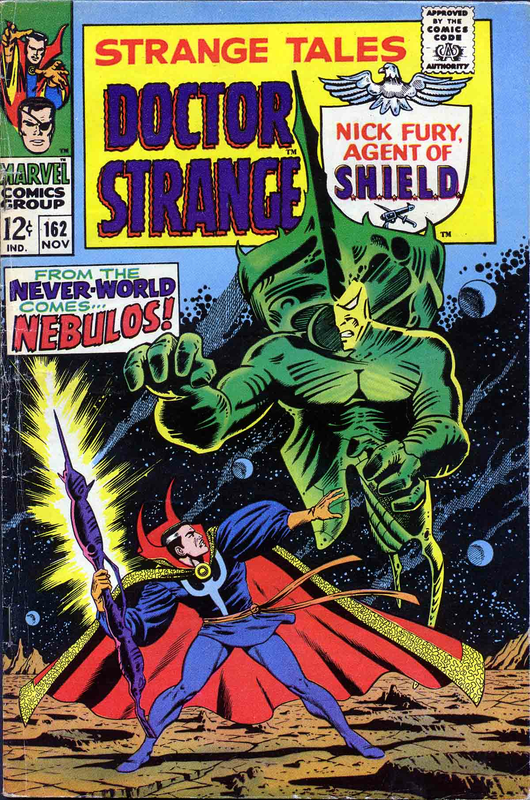 Just about fifty years ago, in the first heady months of the Marvel expansion and the concurrent loosening of distribution policies, I bought my first MCIC, primarily because of the dramatic cover, with the frightening title character looming over the FF. Can't remember if it hit me right then that the villain's costume was essentially a KKK outfit, but whenever it clicked, I was struck by how fearsome those hooded, cloaked figures must have been to all those whom they terrorized. With those hate-filled eyes, the ragged edges to the sleeves and tunic, the heavy jackboots, the chain-mail undergarment, the H "dripping" (so like the logos of horror comics), or flming (either one works) and the purple and indigo (The sleeves are green only on the cover) color combination, Kirby added extra touches of brutality and darkness to the Hate-Monger. Wisely, Kirby toned down the typically graceful depiction of the KKK, with their flowing capes, robes covering even their feet, beautiful horses, glowing torches, and pure-white outfits. There is nothing remotely attractive about the Hate-Monger. 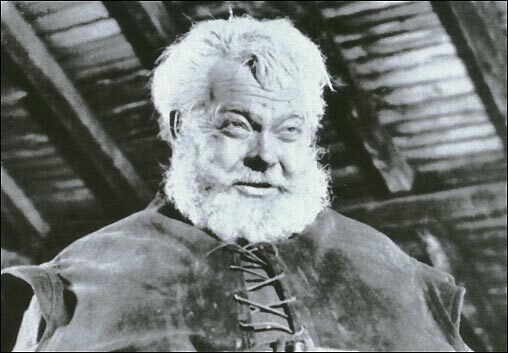 He is shorter, squatter, a hulking brute of a character, more befitting his nihilism. His torch burns harshly; it doesn't glow softly. Listen, I was 13 when I first read this story, and it exploded my head, one more explosion in an extremely volatile time... It wasn't just the stunning ending, which I won't reveal here just in case, but because of the swill the Hate-Monger was spewing to enraptured crowds, a swill we heard then and continue to hear today. This was relevance in comics before there was such a thing. Don't know how much credit for this villain and/or the story goes to Jack or Stan, but the two of them hit it out of the park with this American Id-creature. Maybe older readers at the time knew what was coming, but even if they did, they had to be at the very least, unsettled by the Hate-Monger. The original story came out in September 1963, a month or so after Dr. King's March on Washington and the famous "I have a dream..." speech, the same summer that George Wallace blocked the entrance to the University of Alabama to the first two black students brave enough to enroll there, and a few days before four black girls were murdered by KKK members in the Birmingham church bombing. Mad props, as the kids used to say, to Jack and Stan for having the nerve to incorporate social commentary into their funny book for kids. One thing I liked about Miller's DD run is he brought back The Gladiator. I was wondering if he would last till I had a chance to use him in the top 5. Great choice. Guess I need to go to the bench and call up one of my other favorites. but, when I got into comics a few years later, I discovered Preston Payne (Clayface III), who has all that I loved about that look going on, but adds to it the flowing cape, cooler looking armor and (best yet) a horrific, unstable face beneath the glass that is often an outward expression of his emotional state. Just a very very cool visual design. A variation on this costume will be arriving very late on my own list. Great pick! Man, this is true villain in the works the nice design is simply overpowering and his presence is known by the choice of using both Red and Purple to its advantages. The Helmet makes its great and the purple gloves and boots are done in perfection. The details around his gloves and cape are just too perfect and that’s alone makes this character stands out in the crowd. Boots is done amazingly. Cockrum thinks of everything, literally! The purple trunks and belt is done in a smooth look to his costume and design making it very professional and adds sleekness that’s sorely needed here. 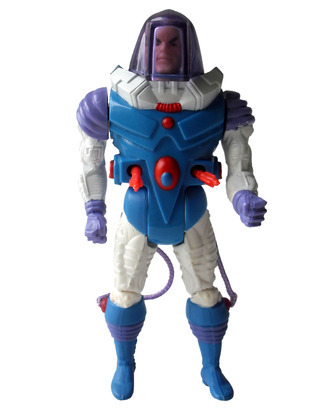 On top of it – the Purple Cape makes him very majestic for a super villain and that’s makes him omnipotent and the Leader of the Brotherhood of Evil Mutants. 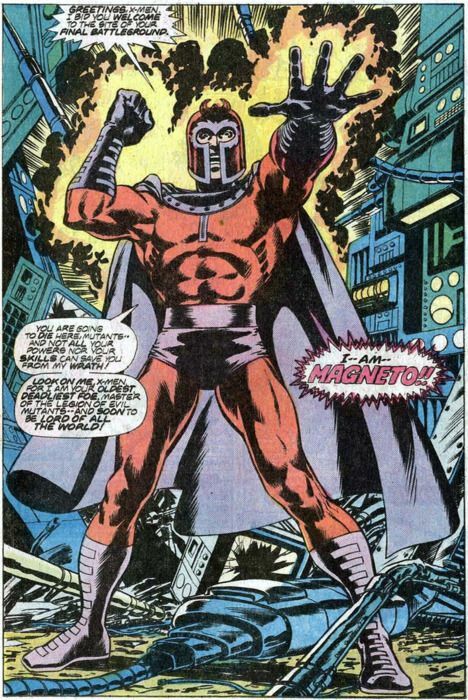 Been a favorite of mine for years to come and that’s why I liked the X-Men so much during the late 60’s and into the early 80’s and one of those reasons is Magneto.